Book – I am always thrilled when I discover a good mystery series that I haven’t read yet. Wife of the Gods by Kwei Quartey is the first book of the Inspector Darko Dawson mysteries. Darko (love the name) is a detective inspector in Ghana who is summoned to the remote village of Ketanu to look into the suspicious death of Gladys, a medical student and dedicated AIDS worker. It is an emotional assignment, since this is the same place that Darko’s mother went to when he was a boy to visit her sister and family and she disappeared and the case is still unsolved. Could these two women somehow be connected? Darko’s investigation clashes with local law enforcement and unsettling customs – having young daughters marry local priests with multiple wives, as a penance for family sins. The author gives a wonderful sense of place and plenty of interesting characters and suspects that keeps the reader interested until the very end. We have all the books in this series for you to enjoy! Fans of Alexander McCall Smith’s No. 1 Ladies’ Detective Agency novels may enjoy this series also set in Africa. However, the situations are grittier in the Darko Dawson mysteries and whereas Precious Ramotswe likes relaxing with a cup of bush tea and is a gentle soul, Darko Dawson prefers smoking pot and has anger management issues. Book – Mia is the “good girl” in this page turning novel of psychological suspense. She is an art teacher at an alternative high school and somewhat of a disappointment to her high profile Chicago judge father, since his other daughter and Mia’s sister is an attorney and following in his footsteps. Her family connection results in Mia being kidnapped. The man who abducts her, Colin, is being paid off to lure her on the pretense of a one night stand and deliver her to another party that will demand a ransom. But for some reason Colin decides not to turn her over and hides out with Mia in a remote cabin in Minnesota. Eventually Mia is saved, but is suffering from amnesia, having blocked the incident from her mind. There is a lot going on in this story. It is told from the perspective of 4 characters: Mia, Colin, Mia’s mother – Eve, and Gabe – the detective assigned to the case. It also jumps back and forth in time chronicling events during the incident and the aftermath. But readers will not be disappointed while trying to find out what really did happen and why, which is not revealed until the very end. 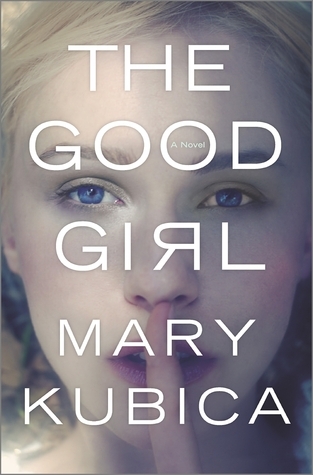 This book would probably appeal to fans of Gone Girl, but is less violent and graphic.